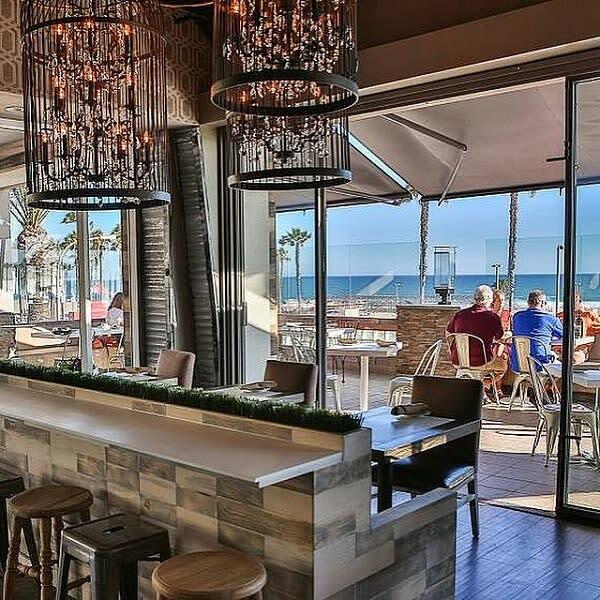 As the sun sinks behind the glittering Pacific Ocean, locals and visitors alike can raise a glass on the patio of one of downtown Huntington Beach’s newest restaurants. 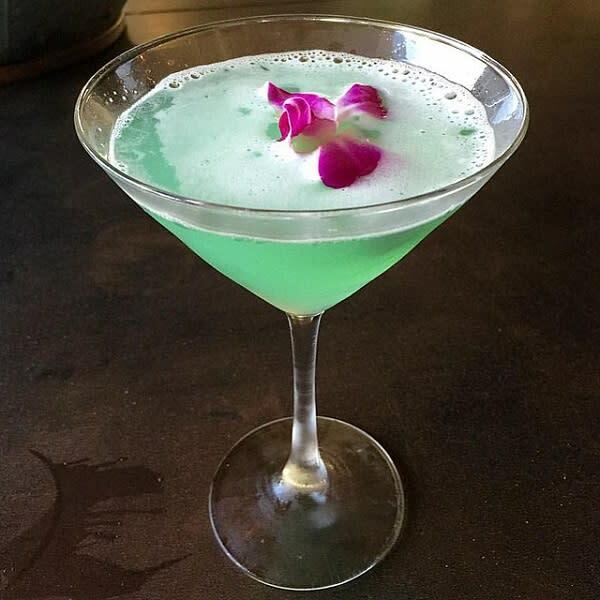 BLK Earth Sea Spirits—run by the same company that owns other downtown staples Gallagher’s Pub and 2nd Floor—officially opened Aug. 14 at the corner of Main Street and Pacific Coast Highway. 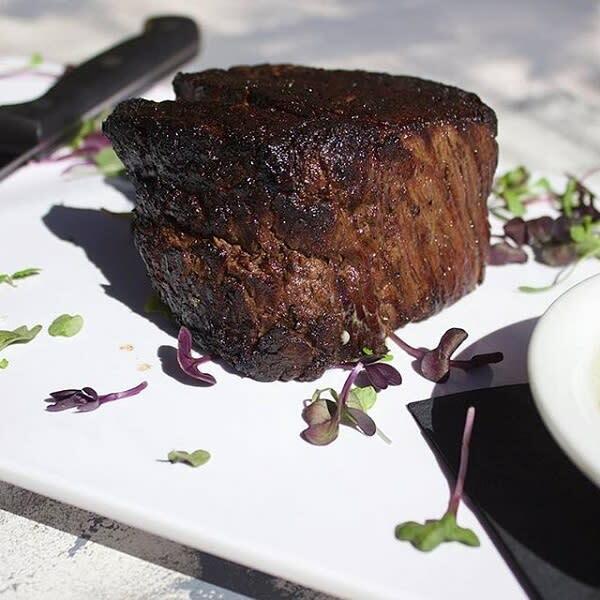 “Visitors to Huntington should visit BLK for the best sunset views in town coupled with some of the tastiest food at the beach,” says manager Kevin Riek.The panoramic views alone are a draw for the restaurant, which has a balcony patio perfect for alfresco dining all year long. But as you breathe in the salty ocean breezes that gently tousle your hair, turn your attention to the menu. The moniker “earth, sea, spirits” captures the contemporary offerings presented by head chef Jesus Munoz. The sophisticated menu of upscale American cuisine places an emphasis on seafood in its starters section. 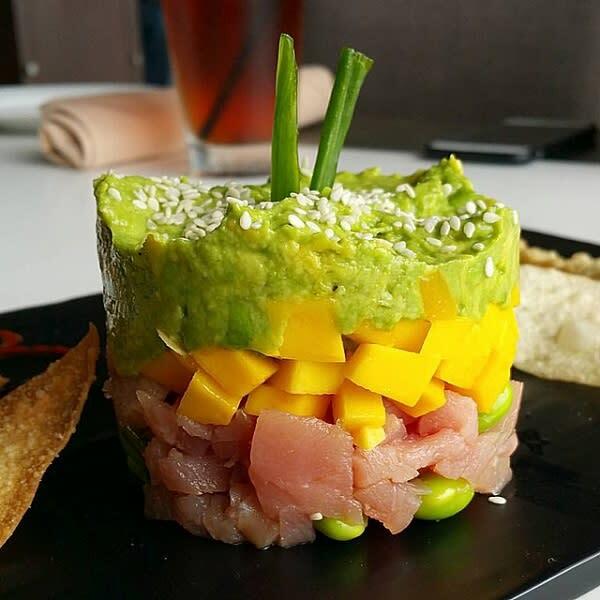 Fresh ahi tuna—whether enjoyed over sliced cucumber and fried ginger or in a beautifully presented tower with mango and avocado—is fitting for BLK’s coastal environs. The clams and mussels add more variety into the mix; the former is served in a popular garlic white wine sauce, while the latter drenches mussels in a tomato-based broth that’s wonderfully accented by a squeeze of lemon. Those seeking an indulgent bite should look to the earth-based entrees. 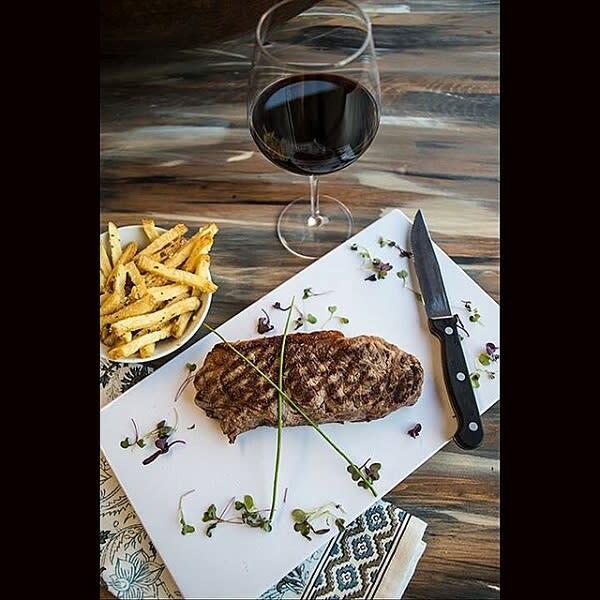 As a juxtaposition to the lighter seafood options like grilled swordfish and seared scallops, BLK’s famous Kobe and wagyu steaks for which it’s known satisfy even the heartiest appetites. The 4-ounce certified Kobe steak is rivaled by the 16-ounce Porterhouse; pair either with a family-style side—options range from Brussels sprouts and quinoa to decadent mac ’n’ cheese with lobster. For a grand finale, Riek says he would choose to wrap up his meal with a signature BLK cronut. Modeled after the New York City delicacy, the restaurant’s sweet treat is a flaky doughnut-croissant hybrid sundae, also on the menu at its BLK Burgrz sister concept in Ladera Ranch. While you’re enjoying your meal, turn your ears to the ocean or enjoy the strains of live music floating through the air. 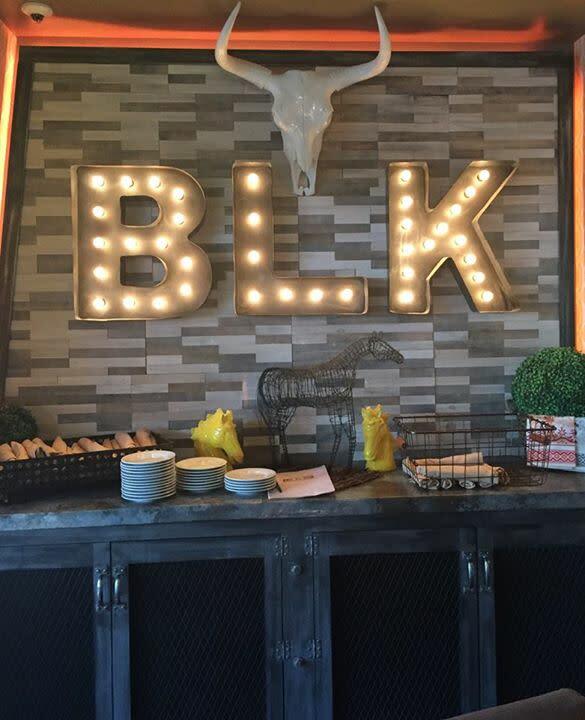 “We currently feature a live acoustic set—BLK Weekend Wind Down— every Sunday from 4-7p.m., which highlights a new local musician weekly with half-priced appetizers and desserts,” Riek adds. And if that’s not enough, the bar serves up craft cocktails to supplement its offering of two dozen beers tapped from an iron pipe. 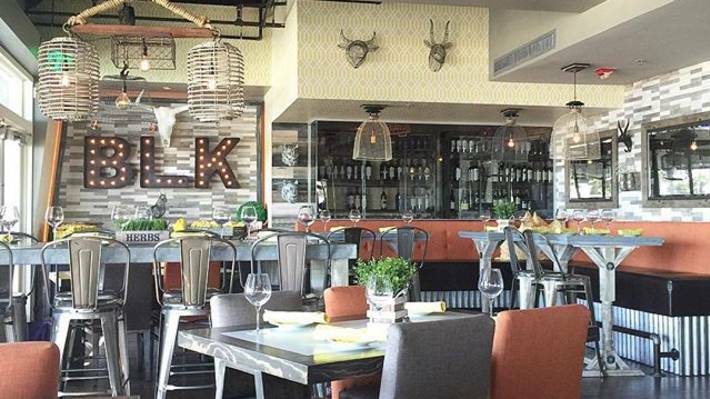 Add great service, a weekend buffet brunch with bottomless mimosas, and on-trend farmhouse-style decor complemented by chic accents like sparkling chandeliers, and you have the perfect recipe for an unforgettable meal in the heart of downtown Huntington Beach. “The food was all top quality and perfectly prepared. I had the 12-ounce New York steak and it was cooked perfectly to my liking, medium rare-plus. 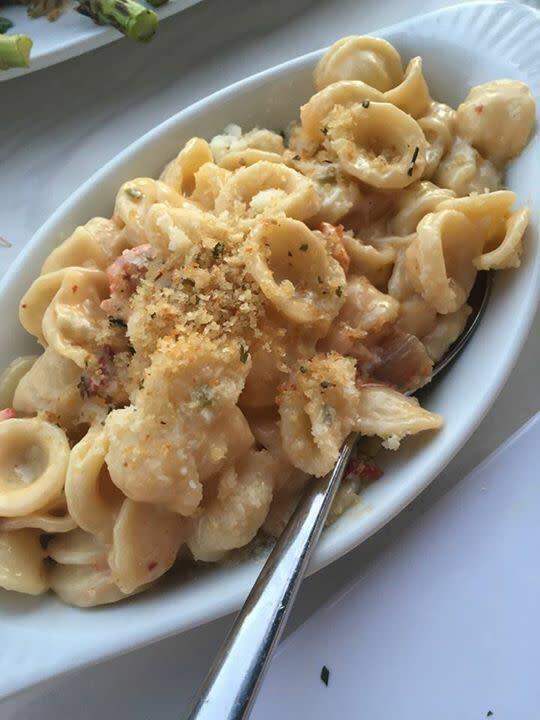 It was delicious, perfectly seasoned.” —Maria S.
“Wow! Finally tried this place. Not only does it have the best view in town from their gorgeous, awning-covered outside patio, the service and food is impeccable.” —Jack W.